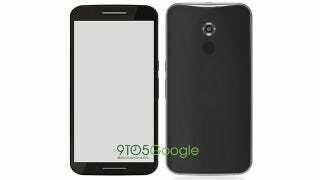 According to 9to5Google, this is the next Nexus device: a Motorola-made, 5.92-inch behemoth. In other words, the next Nexus could be the mother of all phablets. 9to5Google claims to have sources 'directly familiar' with the upcoming device, set to be launched in mid-October for a November release. The specs they've been leaked include a hand-torturing 5.92-inch, 1440p display, Snapdragon 805 processor, 3GB of RAM and 32GB of internal storage.